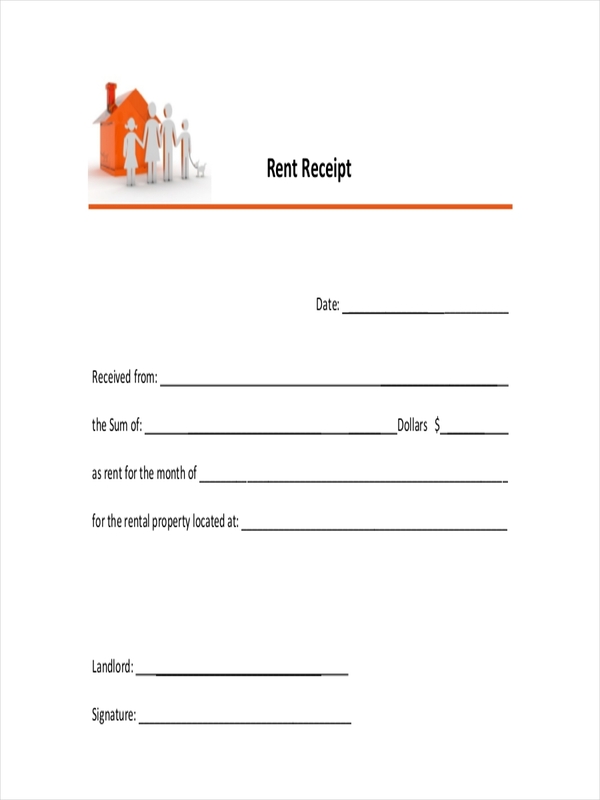 Receipts prove the existence or occurrence of a specific business receipt transaction. In most cases, issuance of a receipt means that the service provider recognises the fact that the client has already paid for the goods or services rendered during the transaction or deal. Different areas have different rules or laws on the use and issuance of Receipts example. 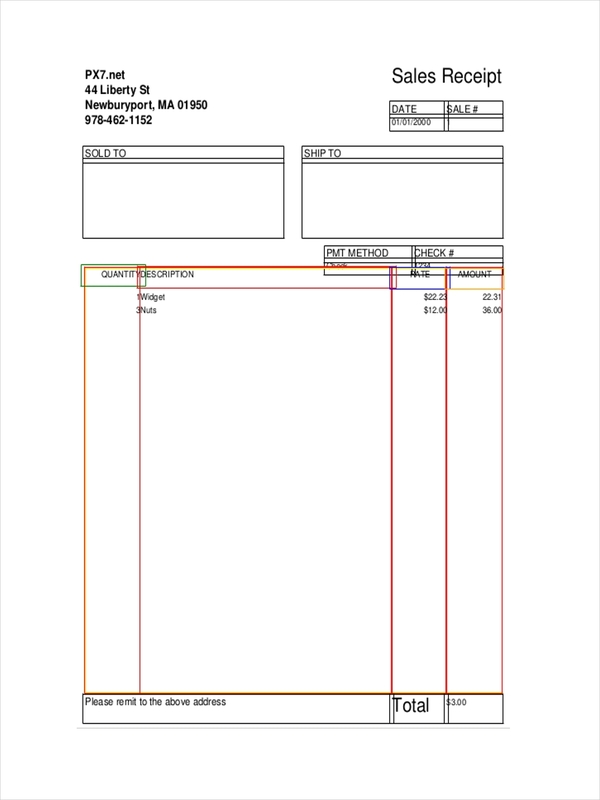 Still, it cannot be denied that a receipt is a formal business document widely used by businesses in different areas. 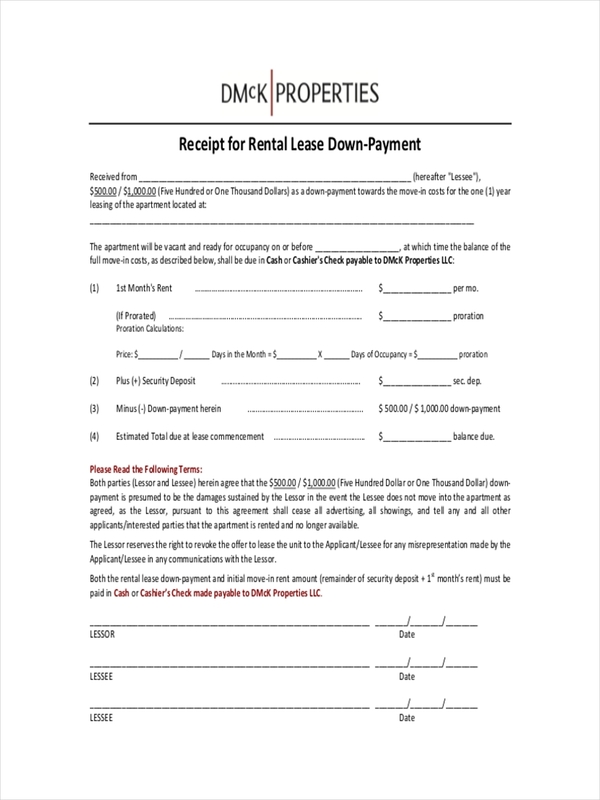 It is thus important for a business owner to know the laws that pertain to the usage of receipts in their area. What Is a Payment Receipt? 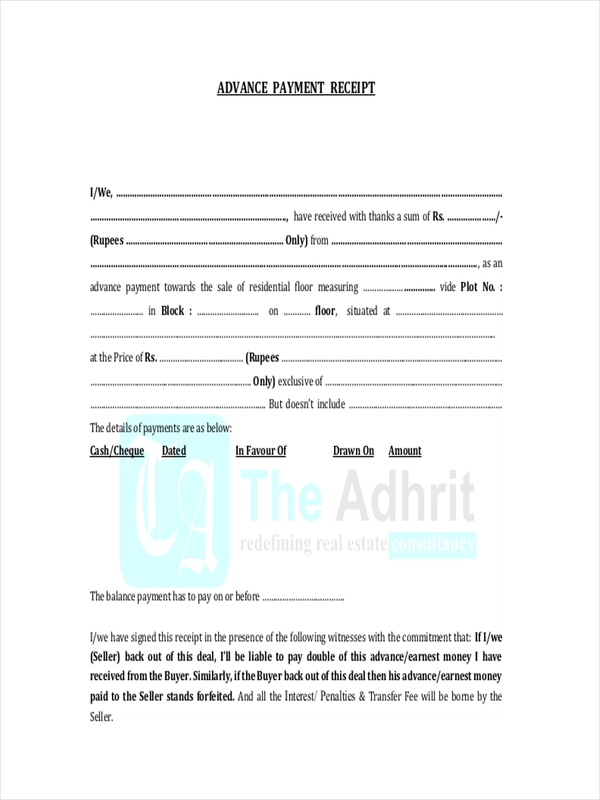 A payment receipt is a kind of receipt which serves to verify that a payment has been made by a certain party as an exchange for receiving goods or services. Such instances can occur at any place, like a convenience store, for example. 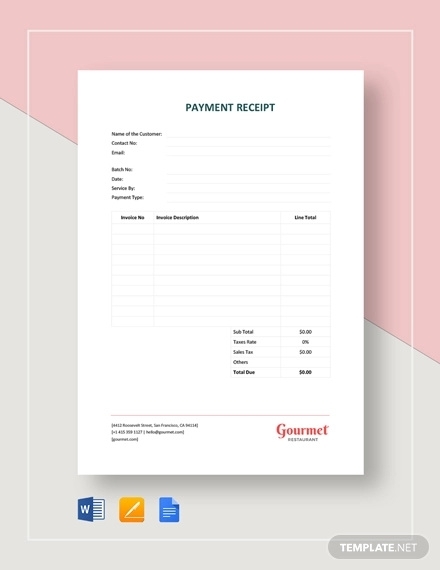 Payment receipts can also be used by businesses when dealing with other businesses, to prove that both parties have successfully done their part in the transaction. In such transactions between business parties, payment receipts may include a more detailed description of the goods and services rendered. Evidence for reimbursements, or warranties. 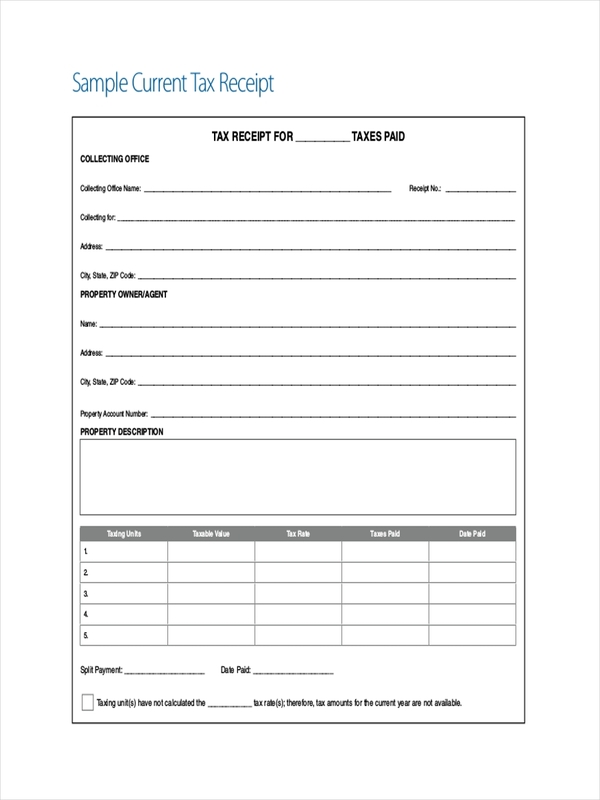 When you spend for a company operation, you’ll need payment receipts to request for a reimbursement. Service warranties can also be availed if payment receipts are showed to the service provider. Such receipts will also allow a customer to return or exchange goods which might be defective. Contract or agreement of both parties. If the conditions are violated by any of the parties involved, this will be an evidence they can present in the court of law. Support of accounting records. These will prove that a reasonable amount was asked in exchange for the goods and services rendered. These will complete accounting records, and will simplify the process of tracking the finances of a business. 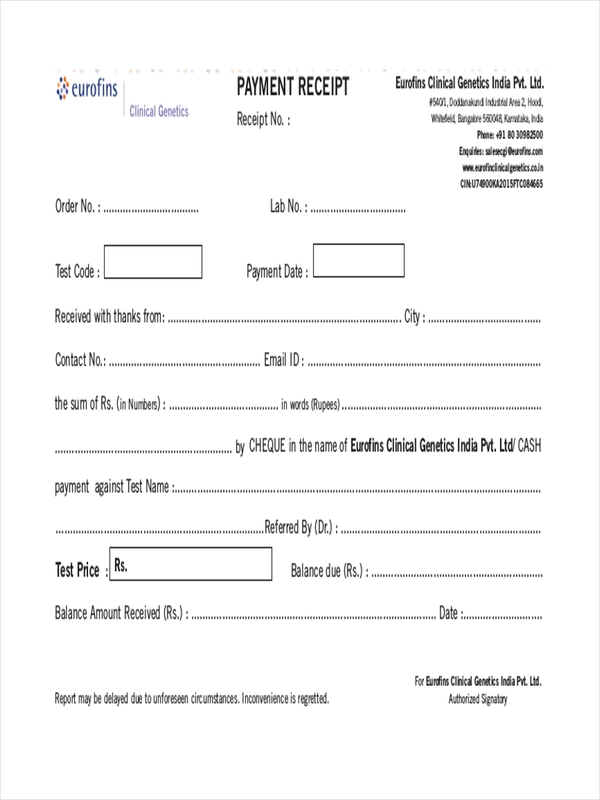 Payment receipts or receipts of payment are receipts which resemble other receipts in many ways. It is important for an individual, especially for a business owner to know the basics of writing a receipt. Know the type of receipt to create. Once you’ve done this, you can write the type on the heading of your receipt (e.g. payment receipt). Identify the template to use, or create your own template. 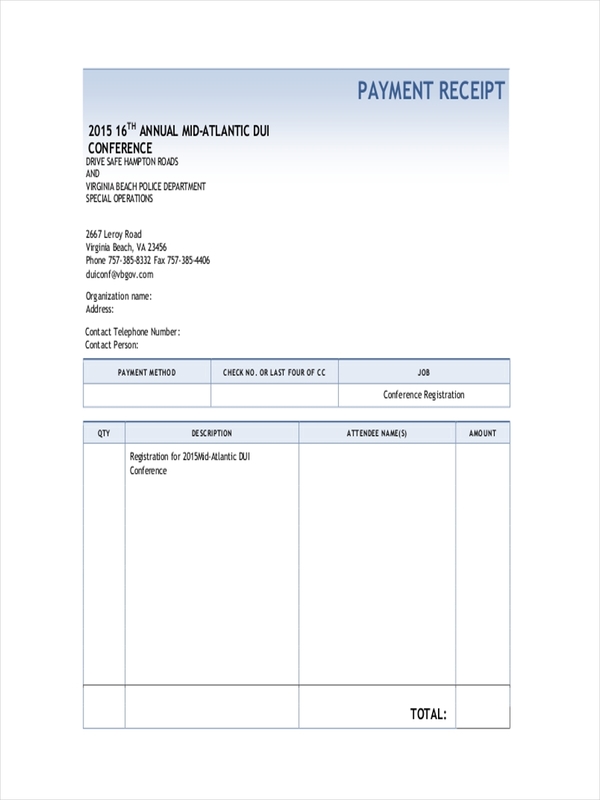 Receipt templates are available online. 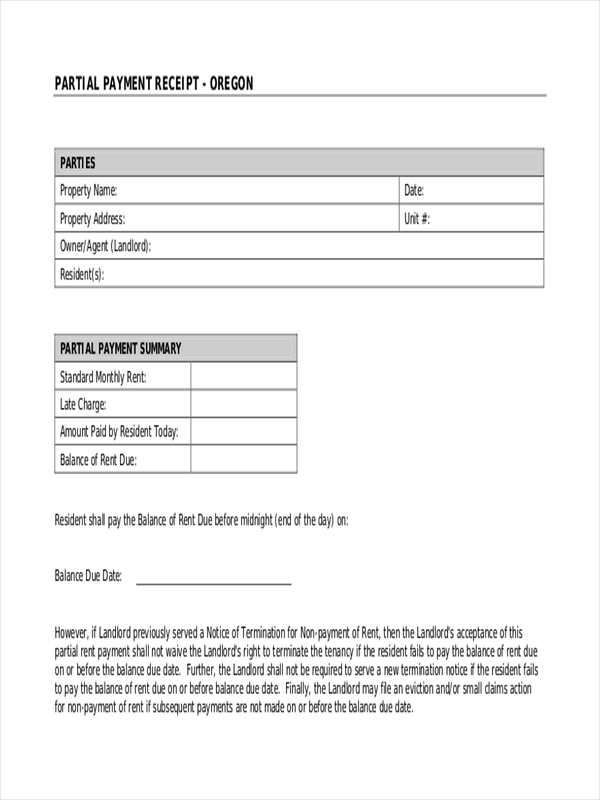 But if you’re planning to create your own template, there are receipt examples included in this post for your reference. Input the information. You can either print a blank receipt and complete it by hand, or complete it on your computer. Do what you prefer the most. 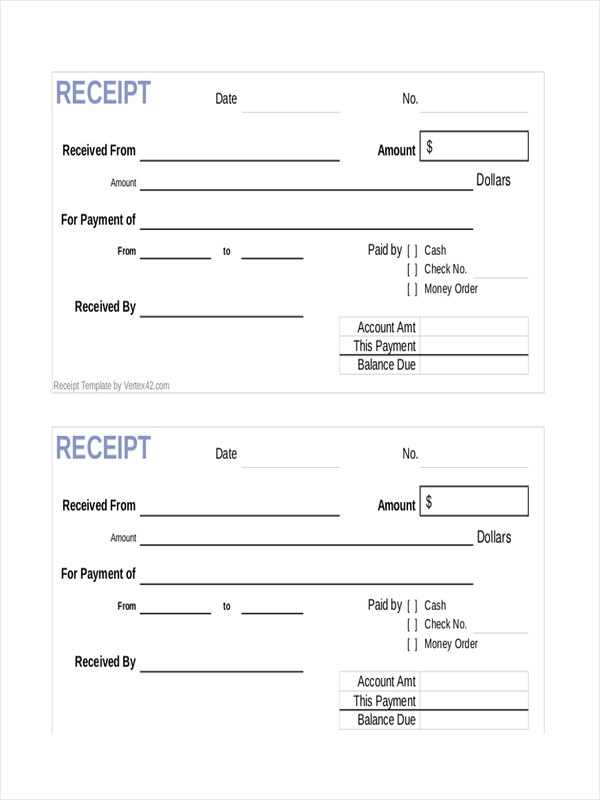 Fill your receipt with the necessary details of the transaction. Whatever method you choose in filling up, you need to carefully write all the details. 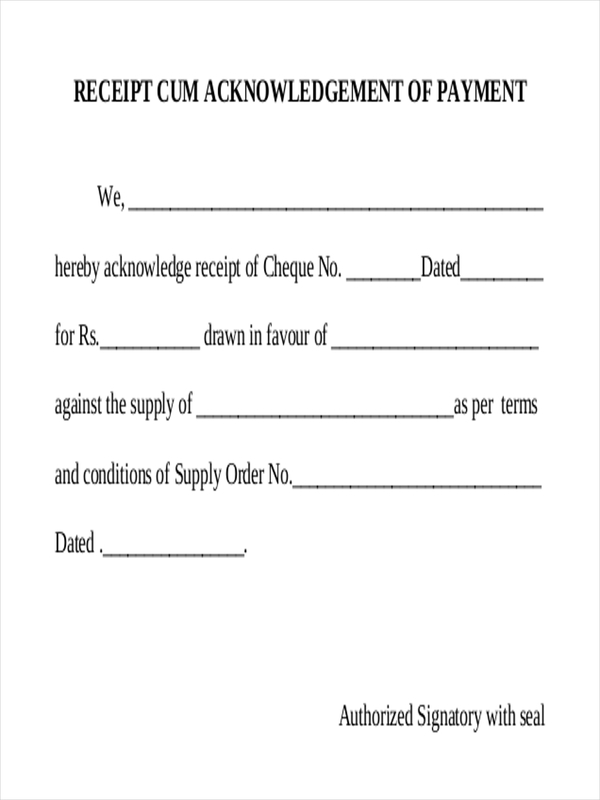 Let the customer sign the receipt on the space indicated. You can also choose to affix your signature. Keep a backup copy. Remember, you give one to your customer, and keep another for your records.